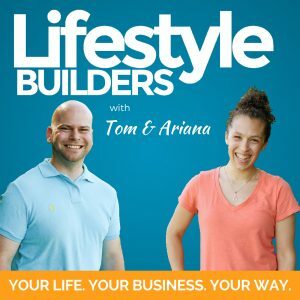 We are Tom & Ariana Sylvester, we are so glad that you are here because that means that you are sick of settling and ready to build your ideal life. Whether you have already started your business and are well on your way to lifestyle freedom, or if you are just getting started, we’ve created and compiled resources to support you on your journey. Our journey started in 2006. As we graduated college and looked ahead at out lives, Tom set a goal to “retire” by 35. As we later found out, it was less about retiring and more about giving ourselves a life of freedom. Since then, we have built 3 different businesses that have allowed us to leave our jobs (Ariana in 2012 and Tom is 2017). It was not easy, but it was totally worth it! Since then, we have made it a mission to use our knowledge and experience to help others achieve more freedom in their life through entrepreneurship. What started as a small mission has turned into the Lifestyle Builders Movement. This page will introduce you to the movement and provide you with various tools and resources to support you on your journey. Learn the 7 steps to building a life of freedom. Learn how the Business SEO model can help your business grow. Learn the stages of business growth and what to do at each stage. 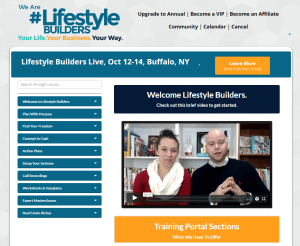 What Does It Mean To Be A Lifestyle Builder? 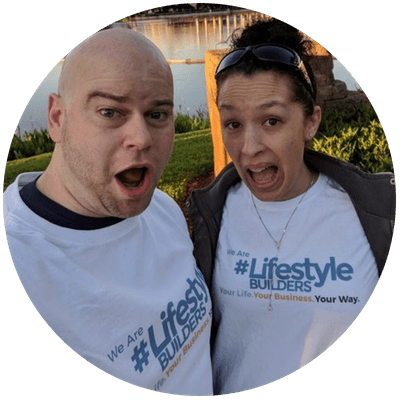 You may be wondering what exactly it means to be a Lifestyle Builder. Basically, we reject the traditional path and opt to build out own path. What is the “traditional path”, you may ask? Well, it is the path that most people are on in life (and the one that we used to be on). They go to school for 13 years and focus on getting good grades so they can eventually go to college. They spend 4+ years in college, focused on getting good grades so that they can get a good job. They graduate from college, usually with tens of thousands of dollars of student loan debts. They finally get their first real job, making less than they desire. They spent the next 45+ years trying to advance their career, all while working 40+ hour weeks 48-50 weeks a year. They buy things they don’t need to impress people that they don’t care about, often with a large amount of debt and living paycheck to paycheck. They may or may not put money away for a retirement that they will hopefully get to have one day in the distant future, but spend their days grinding away until then. They are often not happy, but don’t even take the actions required to break out of this path and create the life that they truly desire. This is their path, but not our path. We are #LifestyleBuilders. Here are some of the things that we all have in common. We Desire Freedom: Although most people seem content with following the “traditional path” of college > job > retire, we choose a different path. We want the freedom to do what we want, when we want, with whomever we want. We desire not only financial freedom, but also time freedom. We Believe in Lifestyle Design: Lifestyle Design was popularized in the book The Four Hour Workweek by Tim Ferris. The key is to clear get on what you want your life to look like, then take the right steps to build that life for yourself (hence Lifestyle Builders). We Are Entrepreneurs: In order to achieve the freedom that we desire and design our lives to suit our needs, we create businesses that have a positive impact on our customers. We believe entrepreneurship is the best path forward. We Focus on Short & Long-Term: While some people only live in the moment and others delay gratification until retirement, we believe in enjoying life now while also being responsible and building sustainable families and businesses. If the above points describe you, then welcome to the movement! You can learn more about the movement by reading our manifesto or listening to us discuss the movement. Most people start their own business because they want more freedom. They want the ability to do what they want, when they want, with whoever they want. In order to achieve freedom and live your ideal life, you first need to define what “living your ideal life” means to you. This first step involves taking some time for you (and your family) to start discussing and getting clear on the life that you want to build, where you are at today, and creating a road map to guide you on your journey. After going through this step, you will have a picture of what you want your life to look like, where you are at today, and an initial road map to guide you. Now that you are clear on where you want to go, it’s important to get your finances in order. To create a life of freedom, you need to understand how where your finances are at today; how much debt you have, your monthly expenses, how much you make, and where your money goes. This step will also help you define your Freedom Number, which is how much your business needs to pay you to cover your expenses and allow you to quit your job. After going through this step, you will have a handle on managing your personal finances and an understanding of what size business you need to build in order to leave your job. With your Freedom Number now defined, you have an initial idea of how big you need to build your business to allow you to quit your job. Your next step is to come up with a business idea and validate it. You will be doing this by going through a lightweight business plan, talking to potential customers, and continuously refining your business until people start paying for your product or service. After going through this step, you will have your initial set of sales, which increasingly validates that people need your product/service. Now that you have some initial sales, you need to continue to focus on the marketing and sales aspects of your business to increase your sales. As your sales increase, you will then focus on improving your business by putting systems and processes in place, as well as starting to hire team members that you can delegate some of the responsibilities to. After going through this step, you will have a business that is increasing in sales and is set up with team members and systems to help you run it. As you build your business, you will come to a time where your business has the momentum and it no longer makes sense to continue working your job. At this point, you will quit your job an enable yourself to be a full-time entrepreneur. This is a glorious day for you and will start a whole bunch of shifts in your life. After going through this step, you will have left your job and settled into the life of an entrepreneur. You are now a full-time entrepreneur and have traded in your job for running your business. If you aren’t careful, you may simply shift from working for a business that someone else owns to simply for a business that you own. To make sure this doesn’t happen, as you continue growing your business to the desired size, you will also focus on continually removing yourself from the day-to-day activities of running the business. At this point, you will not only have financial freedom but also time freedom. After going through this step, you will have removed many of the day-to-day activities from your plate and hire team members and systems to run them for you. You’ve left your job, built your business, and removed yourself from much of the business. Now it is time to enjoy the benefits of your hard work and truly live the life that you desire, with financial freedom and time freedom. After going through this step, you will be living that ideal life that you desire. This means you have time and financial freedom and can truly enjoy the life that you’ve built. Listen in while we discuss life and business strategies to help you succeed. 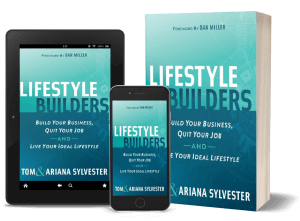 Learn the steps that you need to take to become a Lifestyle Builder. Get access to our step-by-step training program and live coaching from us. A core struggle that most entrepreneurs face is that they don’t have a framework to help them understand how to run and more importantly grow their business. This causes them to constantly seek new tactics and bounce from strategy to strategy. Though they do typically find success, they eventually hit a ceiling where they are overwhelmed, overworked, and the business seems stuck. From our experience in growing our own businesses, as well as the hundreds of entrepreneurs and business leaders that we’ve worked with, we’ve been able to deeply understand what the struggles that most entrepreneurs have and what they require to continue growing without burning themselves out. We call this framework Business SEO. 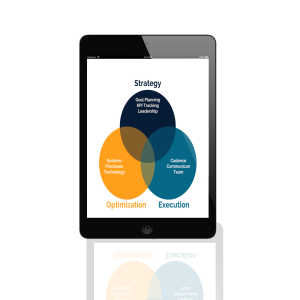 No, not Search Engine Optimization, but Strategy Execution Optimization. Let’s break down each element and show you how this model can help you run and grow your business. 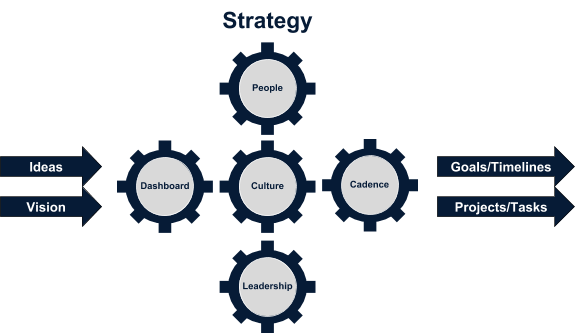 Strategy is defined as the collection of intentional decisions an organization makes to give itself the best chance to succeed and differentiate from competitors. You will want to target to spend about 10% of your time on the strategy for your business. Vision/Goal Planning: As the leader of your business, you are bringing your vision for the business and multitude of ideas to the table. The vision will help establish the direction of the company, while goals will help the company move towards the vision. After you initial set your vision and goals, you will engage in an ongoing process of reflecting and planning every 90 days as you move towards your vision. This will allow you to adjust your goals and plans every 90 days, along with the projects and tasks that will support you in achieving the goals. Key Performance Indicator (KPI) Tracking: With the direction and goals established, you will use a handful of important metrics (KPIs) to inform you as to the health of the business and how you are progressing towards the business goals. Capturing and reviewing these metrics will help you make adjustments as you work towards achieving your goals. Leadership: In order to grow your business, especially as you start to build a team, it will be critical for you to focus on growing as a leader, guiding the company, and supporting your team to succeed in their roles. When these 3 elements come together, you will be able to set the course for your business and lead your team effectively. 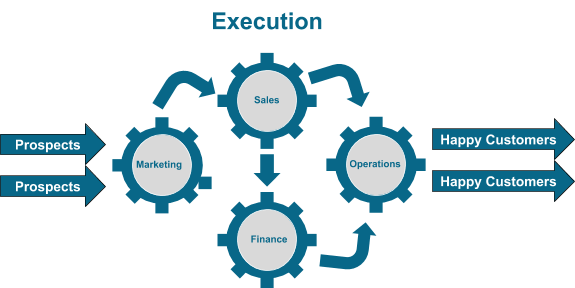 Execution is defined as the actions of implementing the projects and tasks required to implement the strategy and work towards the vision/goals. You will want to target to spend about 80% of your (and your team’s time) on executing for your business. Marketing: The purpose of marketing is to attract your Ideal Customer Avatar (ICA) and nurture them through the process to be ready to make a purchase. This involves helping them become aware of and understand their problems, as well as why your products/services are the best ways for them to solve their problems. Sales: With your ICA now aware of their problems and ready to make a purchase, it is then time for sales to take over and convert these ICAs into actual customers by having them make a purchase. Operations: When someone becomes a customer, the focus then shifts into the operations component of your business. Operations can be broken down into 2 categories: solution creation/innovation and solution delivery/fulfillment. The former is focused on creating your products/services and improving/expanding on them over time. The later focuses on providing your customer with their purchase and making sure that they have a great experience. Finance: Finally we get to the finance component of your business. Finance is responsible for collecting cash that is owed to you from purchases, managing and distributing the money to the various places that it needs to go, and producing financial reports to show the health of the company. When these 4 components come together, you will be able to attract ideal customers (prospects), turn them into happy customers, and create a profitable business while serving them. 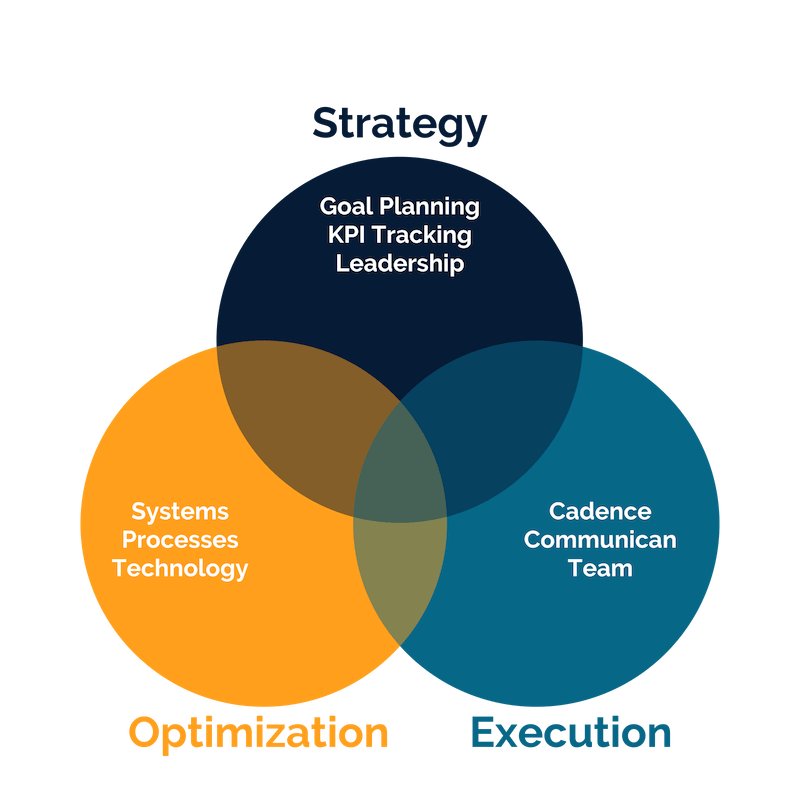 Optimization is defined as the process for reviewing planned results vs. reality and intentionally identifying and improving processes to make the best use of resources in support of the desired outcome. You will want to target to spend about 10% of your time on the optimizing your business. Reflect: The first step of optimizing your business is taking time to reflect on what is working well and what issues/challenges are occurring. this should be done by tracking issues and reviewing your key metrics (KPIs). Problem Identification: When you identify problems, you will then want to prioritize those problems and solving them one by one. To do this, you first need to determine the real problem/root cause of the issue. Solution Hypothesis: Once you identify the true problem to solve, your next step is to come up with potential solutions and select the best one to try. Solution Test: Finally, you will implement the solution and track the results. This will then lead back to step 1 (reflect) to see if the solution solved the problem, or if you need to try another solution. By consistently identifying and working to resolve issues, you will continually improve your business, allow you and your team to be more effective (doing the right thing) and more efficient (minimal waste). Grab our free guide to help you understand and start implementing the framework in your business. Grab a call to explore coaching and see if you are a good fit for us to help you. Have you ever felt lost when trying to grow your business? Most of us have. There is a lot of advice out there around how to start and grow a business, but what is often lacking is a step-by-step guide. Core Problem: This is the main problem that you are experiencing at this stage of your journey. Understanding the problem that you are trying to solve will then help you focus on the right actions. Revenue Range: Each stage of business will typically have a range of revenue. although this range will vary somewhat based on your business model and a variety of factors, it will help you to determine which stage you are in and how much money you can expect to make in that stage. Stage Goal: Being clear on the goal of the stage will make it easy to understand what you are working towards and how to know wen it is time to move onto the next stage. A major challenge that most entrepreneurs face when starting and growing their business is not having a roadmap to follow. Regardless of what stage of business you are in, there are a handful of foundational elements that you need to set yourself up for success. In this stage, you will go through various activities to develop and optimize your resources, including your time, money, and energy. You may have some of these areas covered, while others you need more in depth work on. Regardless, focusing on nailing each aspect of the Foundations stage will set you up for success in your next stage. To get clear on your vision and goals, for both your business and life. To create a roadmap for how to go from were you are today to achieve your goals. To create space to allow you to succeed, be it financially, with your time, or with your energy. To implement habits and routines to set you up for success. To develop the right mindset that will allow you to succeed. As you start your journey as an entrepreneur, naturally you will start at the beginning. This stage is often the most difficult and the one that most people never make it past because it requires a lot of commitment and perseverance. You will go through a lot of activities to gain clarity, starting with clarity on who you want to serve with your business, to clarity on the problem that you solve and the value of solving that problem, through creating a basic sales and delivery process that will allow your first set of customers to purchase your product or service and have a great experience. Even if you already have a business, if you seem stuck and making sales seems challenging, this stage will help you clarify foundational aspects of your business and close any gaps have an easier time making sales. You should also revisit this stage each time you launch a new product or service. To make enough sales to initially validate your business model. This means that you have the right combination of ideal customer, a big enough problem, the right solution, the right sales process, and the ability to create and deliver your solution to customer. When you leave Stage 1, you have been able to make an initial set of sales for your product or service. You’ve got a group of early adopters who have paid you and have used your product or service successfully. This is a HUGE success that most entrepreneurs never see because they are not able to stick with it until they can put the various pieces of their business model together to make those first sets of sales. As you move into Stage 2, the focus now becomes increasing your ability to make more sales and more consistent sales. At this point, sales often tend to be inconsistent, which causes business owners to go into feast and famine mode. So your focus will be on honing in your sales process with a focus on generating and nurturing warm leads to become customers. To increase sales and start to develop your marketing strategy to nurture leads/prospects towards becoming a customer. Begin building your team to support you. With you now being able to generate more consistent sales, you will now likely find yourself starting to get overwhelmed. You are likely involved in every aspect of your business at this point, meaning that nothing gets done without your involvement. If you continue at this rate, you will work more hours, put yourself on the path to burnout, and your business will hit a ceiling to where it can’t grow anymore because to all depends on you. So in this stage, your main focus will be to create and implement systems and processes in your business, as well as to start removing yourself from various components of your business. You will leverage systems as well as your growing team to support you and allow the business to continue to grow without taking over your life. You are getting overwhelmed as you are at the core running your business. You need to start implementing systems and processes and delegating to remove yourself from aspects fo executing your business. To continue ramping up marketing efforts and build out a team to delegate day-to-day operations. Shift your focus to increasingly reduce tactical execution work and increase the time for strategic work. Are you an entrepreneur looking to grow your business to create more freedom in your life? 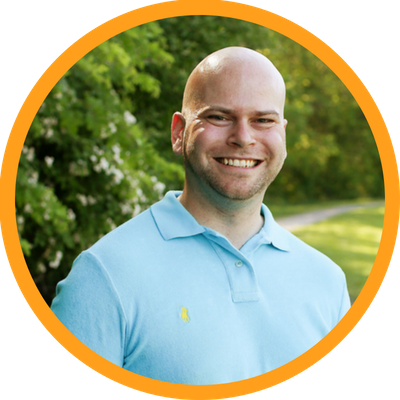 Would you like access to a proven roadmap and system for helping you get there? Click below to grab a call to explore coaching and see if you are a good fit for us to help you.